Pat is a Solicitor in our Wills, Estates & Powers of Attorney Team, assisting the team with a full range of matters. 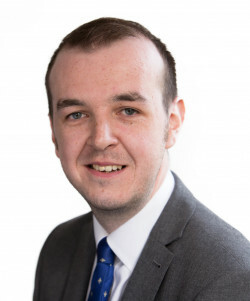 Pat graduated from the University of East Anglia, obtaining a 2.1 degree in law in 2014 before completing his Legal Practice Course at BPP Law School in Cambridge. Pat then spent a year working in medical negligence before joining Leathes Prior as a Trainee Solicitor in September 2016. Pat started his training contract in the Residential Conveyancing Team before spending time in the Litigation & Dispute Resolution Team. He then qualified into the Wills, Estates & Powers of Attorney Team in September 2018 and now deals with a wide range of Estate administration matters as well as drafting Wills and Lasting Powers of Attorneys. Away from the office, Pat is a keen football fan and keeps a close eye on the results of his two teams – Celtic and Manchester City. When he is not occupied with celebrating the success of his two football clubs, Pat is a big music fan and has a growing vinyl collection.